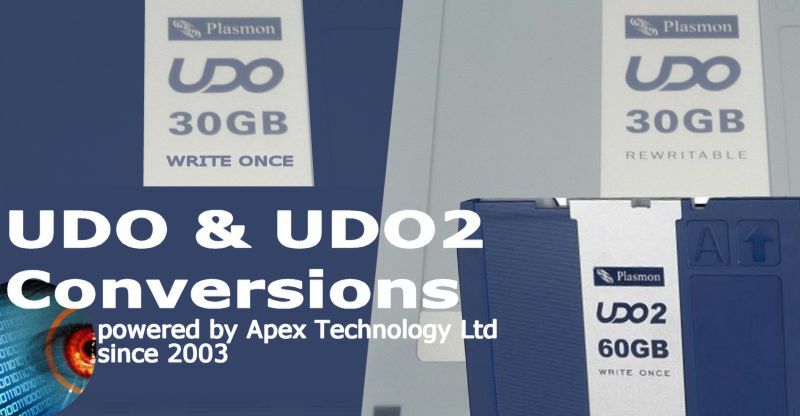 udo & udo2 disk conversions, file transfer, and data recovery. The UDO disks have 2 capacities 30GB and 60GB. There is a roadmap suggesting that larger capacity disks will be issued in future but we have not seen any sign of them in practice. We can convert the UDO disks to USB hard drive so you can easily access the data without the optical drives. If you need a udo & udo2 disk conversions, file transfer, and data recovery service, then contact our friendly company. udo & udo2 disk conversions, file transfer, and data recovery. The UDO disks have 2 capacities 30GB and 60GB. There is a roadmap suggesting that larger capacity disks will be issued in future but we have not seen any sign of them in practice. We can convert the UDO disks to USB hard drive so you can easily access the data without the optical drives. .